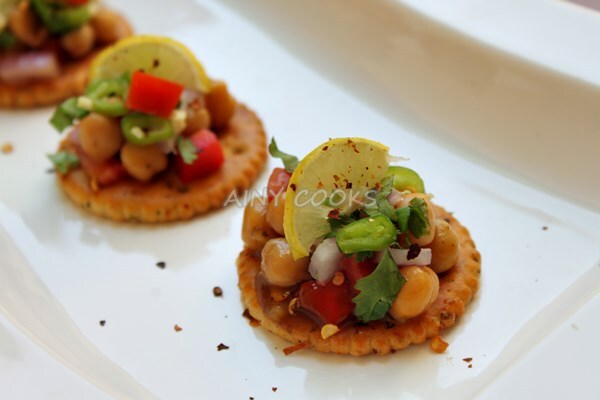 Looking for a perfect finger food for your party ….. then surely you will love this easy and crispy veggie treat. 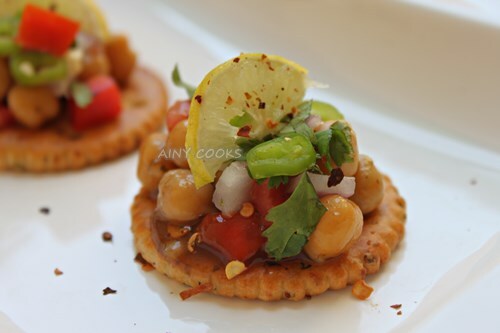 I have used Peek Freans Butter puffs veggie crackers. Very tasty and delicious in taste. This recipe is with traditional touch.Hope you will like it. 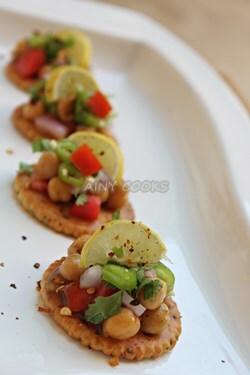 Arrange biscuits on platter and just before serving place spoonful of chickpea mix on it. Pour green sauce and sprinkle red chili flakes. This is amazing. 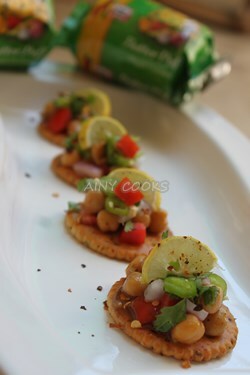 Please share more recipes using Butter Puff crackers!